Mateus by Erreà is a racing short-sleeve T-shirt for men, ideal for sports like football, and five-a-side football. This shirt has a very lightweight fit and is extremely breathable and comfortable. Its special soft and breathable fabric is moisture-wicking and facilitates sweat evaporation so as to keep your skin dry for longer. 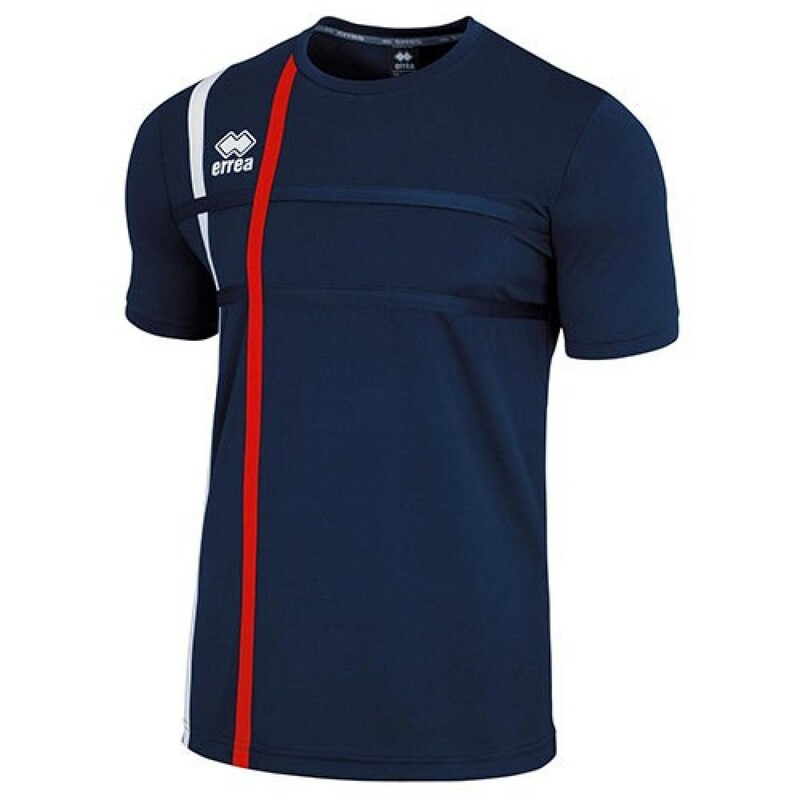 The vertical stripes to the right of the chest will allow you to customise this T-shirt with the colours of your team. The crew neck, the neat and elegant lines and the vertical pattern give this T-shirt an athletic and dynamic look.